RightPatient® identifies and resolves dangerous duplicate medical records with the option of implementing a biometric patient identification solution to sustain patient data integrity. Through a unique partnership with a leading credit bureau RightPatient® analyzes a healthcare provider’s master patient index (MPI) for free using referential big data analysis capabilities to report how many high-confidence duplicate medical records were discovered. Providers have the ability to analyze the results and then implement RightPatient®’s flexible and scalable biometric patient safety and patient data integrity system to ensure identification accuracy and maintain a clean MPI. A cornerstone of quality healthcare is the ability to reliably match and link patient information collected from disparate sources. 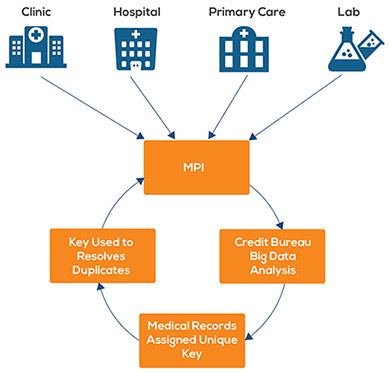 Typically, a Master Patient Index (MPI) is created or acquired to meet this need and various strategies within the MPI are used to match records or de-duplicate sets of records that appear to have the same patient represented more than once. 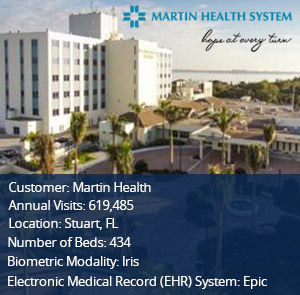 Since most healthcare providers underestimate the amount of duplicate medical records in their MPIs, this solution provides the opportunity to receive a third party non-biased duplicate medical record analysis and an opportunity to implement a best-of-breed biometric patient identification solution to sustain high levels of patient data integrity. 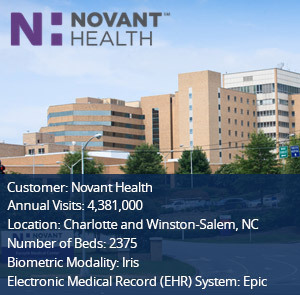 RightPatient® offers the chance for healthcare facilities to accurately aggregate a patient’s federated data, provides positive patient ID for insurance eligibility verification and coordination of benefits and reimbursement, mitigates the risk of malpractice due to incomplete medical records, eliminates ongoing MPI clean-up costs, and allows providers to better coordinate care delivery.